City Slickers was definitely a big hit based on a three guys in search of a new chapter in their lives. Many consider it the ultimate dude ranch movie. City Slickers put the spot light back on what was once a popular vacation choice – the dude ranch. Today, the true dude ranch has been replaced by the guest ranch. In the late 1880’s, ranchers in the Wild West would provide food and lodging to travelers crossing deserts lands on their was west. It was considered a common courtesy to the traveler and may have provided the rancher some welcomed company. As time went on, it became more acceptable for the guests to give some amount of payment to the rancher. In the 1920s and 1930s, cars made travel a whole lot easier. This allowed more people the ability to experience the “old west” by spending a vacation on a dude ranch. These travelers turned many ranches into destinations for full-fledged vacations. Through this evolution the dude ranch was born. Today, there are many different types of ranch vacations one can experience on almost every budget and interest. Both the dude ranch and guest ranch can bring back the feel of the old west. Many with a level of comfort and luxury never imagined. 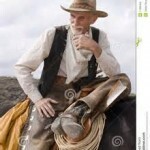 What Is The Difference Between A Dude Ranch And A Guest Ranch? If you are considering a “ranch” vacation, here are a few things to know when choosing between a dude ranch and a guest ranch. A dude ranch is a place where you can experience some of the real life on a working ranch. Visitors are taught how to ride, care for horses, go on fishing trips, see a rodeo, and eat family-style meals. A guest ranch is a place that will offer many other activities that have nothing to do with ranching at all. Guests ranches may have facilities such as pools, tennis courts, hiking trails and yes, horses to ride. In many cases they will be in, or near, an urban area that offers additional “things to do”. Dude ranch vacations are typically all-inclusive. The costs include lodging, meals and all ranching activities. At a guest ranch, you may have to pay extra for activities such as riding, hunting or fishing. Dude ranch vacations are usually for a minimum of one week. A guest ranch will accommodate shorter stays including just one-night. Guest ranches are more prominent in Tucson. And lets be clear, we are not talking bedrolls on rough wood floors and water you pump from a well down the hill. Guest ranches in and around Tucson offer the authentic Southwest without sacrificing things like hot tubs, WiFi, and great big comfy beds. Ok, that could be an oxymoron. Many Tucson guest ranches have been visited by move stars, dignitaries and millionaires. Names such as president Kennedy, Katharine Hepburn, Spencer Tracey, John Wayne and the Vanderbilts have experienced the luxury provided at Tucson’s guest ranches. Hacienda del Sol has provided a delightful escape for over 65 years. This beautiful facility sits on thirty-four acres of natural desert landscape with 30 guest rooms. The Casita Grande is reputed to be the secret hideaway of Spencer Tracy and Audrey Hepburn. The Hacienda del Sol is currently undergoing a renovation and expansion program that will add 32 more rooms to this historic facility. Work is scheduled for completion around September 2015. Tanque Verde Guest Ranch is situated on 640 acres in the Rincon Mountain foothills on Tucson’s east side. Tanque Verde Guest Ranch is bordered by both Saguaro National Park East and Coronado National Forest. This 74-room family-owned-and-operated guest-ranch resort was founded as a working cattle ranch in 1868 and was transformed into a dude ranch in the 1920s. White Stallion Ranch is a family owned-and-operated, 42-room guest ranch is also a working cattle ranch located on 3,000 acres on Tucson’s west side, adjacent to Saguaro National Park West in the Tucson Mountains. Guests can watch the Longhorn cattle herd coming in to water and then have cocktails at a bar featuring saddles as bar stools. White Stallion is the site of numerous Western films and is noted for its excellent riding program. Paniolo Ranch is a destination for guests from around the world. Activities include hiking, cycling, sight-seeing in the breath taking Sonora desert. Apache Spirit Ranch is on the outskirts of Tombstone, about 70 miles southeast of Tucson. The Apache Spirit Ranch is a resort property opened in 2010 for high-end travelers seeking to experience the American Old West. The ranch covers 272 acres, on the site of a long-gone homestead owned by a German immigrant, in Cochise County, homeland of the Chiricahua Apache Indians. Circle Z Ranch can be found in Patagonia, Arizona, 65 miles south of Tucson and 15 miles north of the Mexico border. The Circle Z opened in 1926. It is considered the oldest continuously operating dude ranch in Arizona. Guest stay in one of the seven Mexican-style adobe cottages on the property. Triangle T Guest Ranch is in Texas Canyon, in the foothills of the Dragoon Mountains, about 60 miles south of Tucson. This historic guest ranch offers spectacular hill-and-boulder scenery. Amenities include horseback riding, cowboy entertainment, campfire barbecues, hayrides, a saloon and restaurant, and excellent hiking and bird-watching opportunities. Elkhorn Ranch is found between the scenic Baboquivari Mountains and the spacious Altar Valley about 50 miles southwest of Tucson. Riders of all ages and abilities are welcome. El Rancho Robles Guest Ranch is located about 30 miles north of Tucson in Oracle, Arizona at the base of the Santa Catalina Mountains. El Rancho Robles offers the opportunity to enjoy a romantic wild west holiday with the perfect mixture of adventure and relaxation. Tombstone Monument Guest Ranch offers delicious ranch cooking, an amazing number of guided activities, the elegance of a Southern Arizona western resort, and a staff dedicated to make your stay something truly special. Your all-inclusive western resort includes three meals per day, accommodations in an authentic guest-house, snacks, guided trail rides, wireless Internet, Jacuzzi and heated pool, entertainment, and guided desert adventures. Canyon Ranch is located on Tucson east side. Guests and residents have access to spa services, enrichment classes, exercise classes, cosmetic services, healthy dining, and various resort facilities. Preventative and diagnostic medical services. Miraval is a wellness luxury spa resort dedicated to inspiring Life in Balance. Miraval’s focus on sustainable living, casita-style guest accommodations and the spectacular Life in Balance. If you are planning a family get away or more adventure, the Tucson AZ has lots of options. An early morning horse rides and a trail breakfast may be just what you are looking for. Not to mention that all the attractions of Tucson AZ are just minutes away. Considering a world class luxury spa? Then Canyon Ranch and Miraval are both available in Tucson. The “old west” of Tucson has everything from dude ranches, historic hotels, comfortable lodging and the most luxurious accommodations found any where in the world.